How to Delegate Effectively - Learn This Skill - Something New Everyday! All phases are linear which means you need to complete one to move on to the next one. This phase requires you evaluating the task and evaluating the pool of mangers you have. First, consider the high level tasks for the project in hand. Now, map the skills, response time, importance and criticality with the short listed employees in order to select the right person. Low importance tasks can be given to any employee so you can save time by considering this approach. 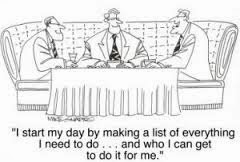 For selecting the right person consider his/her task management skills, people skills, analytical skills and general management skills. You can also consider delegating a project to multiple people to cross train your employees to become better future managers. Remember, the quality of a good manager is not to produce more followers but to produce more managers. Consider the deliverables of the projects, required resources, frequency and format of project progress reporting, authority level to be given for making decisions during project execution. By authority level I mean, when the delegate can take action at his own and when he needs approval from you. During handover phase, ask for suggestions instead of one-way information flow. This will boost confidence and improve your relationship with the employee. Appreciate the employee on why he/she has been selected. If delegating multiple people, delegate in one session so that everyone is sync about his/her role. Monitor and counsel during execution. Call for meeting when any risk occurs. Advocate for damage control by being a coach. Start with 'appreciative inquiry' method in which employee replies in terms of project success. Examples: What part of the project you are happy about? What's going good in the project? Etc. Ask questions to encourage not to desperate. For problematic parts, ask how do you think I would handle this situation? Avoid micro management unless it is seriously required because micro management kills the productivity of employee. 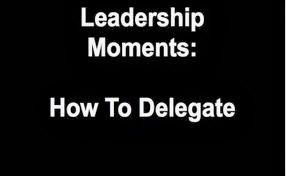 Debrief:This phase of delegation happens when the task is completed. Review the summary of project, associated documentation and general achievements. Discuss new issues; how were they resolved and what lessons were learnt. Consider the level of efforts and hard work the employee have put in and finally appreciate, honor and reward the delegatee.